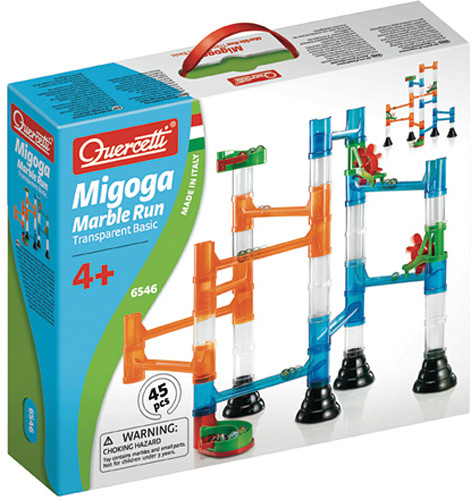 Transparent Marble Run from Quercetti is one of our best-selling construction toys. 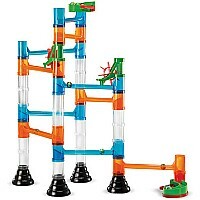 Made in Italy, with chutes, bridges, columns and spinning-wheels, you’ll design the course without realizing you are learning about gravity, momentum and torque. 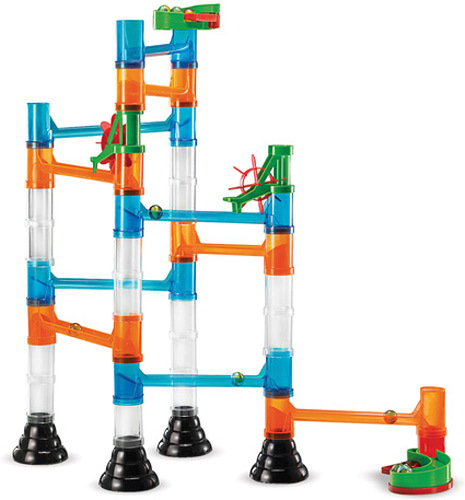 45 pieces include 10 marbles for non-stop action. For ages 4-8 yrs.